Kingston 8GB Micro SecureDigital (SDHC) Card, Class 4 - pouze kartaKapacita: 8 GB; typ karty: micro SD HC; třída: Class 4. Kingston 8GB Micro SecureDigital (SDHC) Card, Class 4Kapacita: 8 GB; typ karty: micro SD HC; třída: Class 4. VERBATIM Micro SecureDigital SDHC 8GB Class10Technologie paměťové karty:Micro SecureDigital High Capacity (micro SD HC); Kapacita (v GB):8. 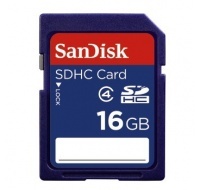 SanDisk SecureDigital SDHC Standard (Class 4) - 16 GBTechnologie paměťové karty:SecureDigital High Capacity (SD HC); Kapacita (v GB):16. 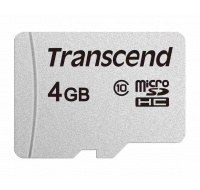 TRANSCEND Micro SDHC Class 10 300S 4GB, bez adaptéruTechnologie paměťové karty:Micro SecureDigital High Capacity (micro SD HC); Kapacita (v GB):4. TRANSCEND Micro SDHC Class 10 4GB (bez adaptéru)Technologie paměťové karty:Micro SecureDigital High Capacity (micro SD HC); Kapacita (v GB):4. Kingston 16GB Micro SecureDigital (SDHC) Card, Class 4 - pouze kartaKapacita: 16 GB; typ karty: micro SD HC; třída: Class 4. VERBATIM Premium U1 Micro SecureDigital SDHC/SDXC 8GB + SD AdaptérTechnologie paměťové karty:Micro SecureDigital High Capacity (micro SD HC); Kapacita (v GB):8. Hama microSDHC 16 GB Class 10 UHS-I 45 MB/s + Adapter/MobileTechnologie paměťové karty:SecureDigital High Capacity (SD HC); Kapacita (v GB):16. 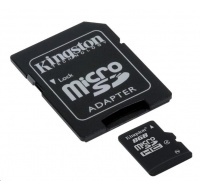 Kingston 16GB Micro SecureDigital (SDHC) Card, Class 4Kapacita: 16 GB; typ karty: micro SD HC; třída: Class 4. 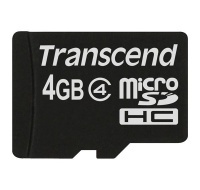 TRANSCEND Micro SDHC Class 4 4GB (bez adaptéru)Technologie paměťové karty:Micro SecureDigital High Capacity (micro SD HC); Kapacita (v GB):4. GOODRAM Micro SDHC card 16GB, Class 10, UHS-I + SD adapterTechnologie paměťové karty:Micro SecureDigital High Capacity (micro SD HC); Kapacita (v GB):16.